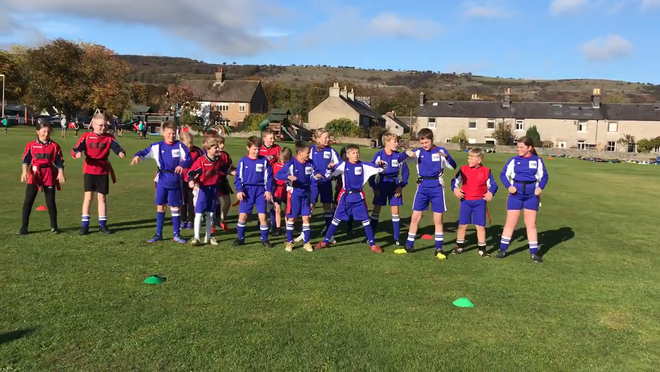 What a fantastic afternoon we had at Longstone C of E Primary School on Thursday 25th November! We entered two teams - Stanton Sharks and Stanton Stags. 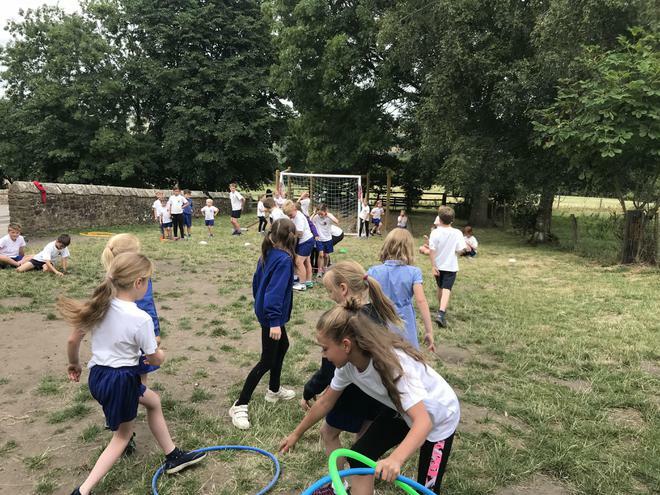 Both played exceptionally well and displayed all the qualities we work hard to promote during our school PE lessons - honesty, respect, self-belief, good teamwork and fair-play. 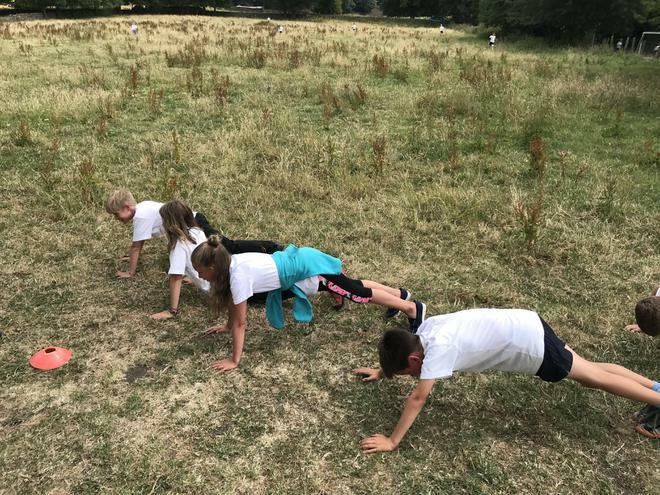 Despite beating Rowsley B team in their other group match, Stanton Stags finished second in their group after losing a very close match to Pilsley A team, 5 tries to 4. This meant that they just missed out on a semi-final spot. 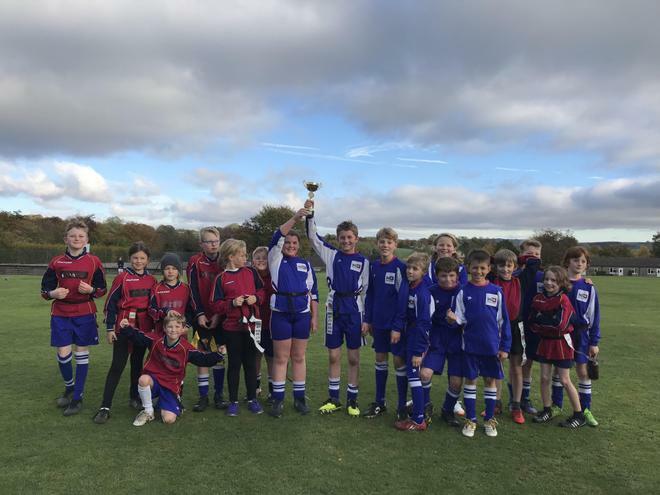 Quickly getting over the disappointment, they rallied together and finished strongly with a 6 - 3 win in their final match - playing some fantastic rugby and scoring some well-worked tries. 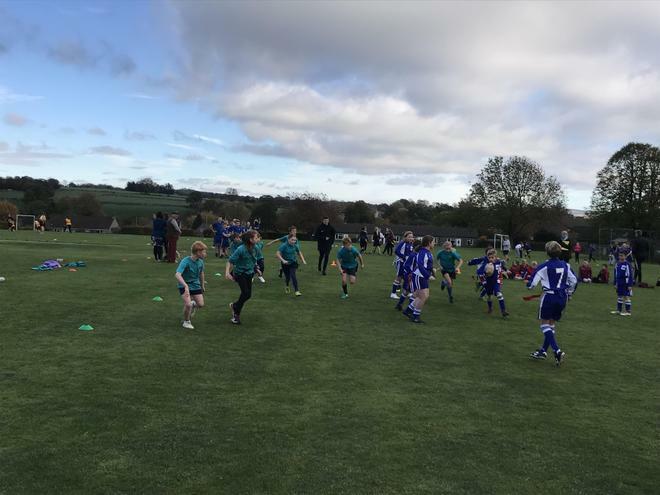 Stanton Sharks won both their group matches against Youlgrave B team and Rowsley A team by the same scoreline, 6 tries to 1. They then faced a very good Curbar team in the semi-final. With the match tied at 4-4, Stanton Sharks edged it in the final minute of extra time - sending them through to face Youlgrave A team in the final. The final was very similar to the semi. Both teams playing some great rugby and defending their try-lines with grit and determination. At the full time whistle, the score was 2-2. Extra time saw Youlgrave come very close to winning it, but Stanton's solid defence stood strong. The final act of the afternoon saw Stanton score a breakaway try - fitting of winning any tournament. After the final whistle was blown, our team was quick to congratulate their opponents, before celebrating their victory. 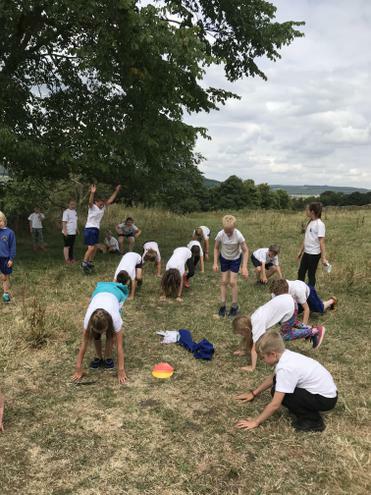 It was great to travel to Bakewell Juniors for the cluster schools cross-country competition. 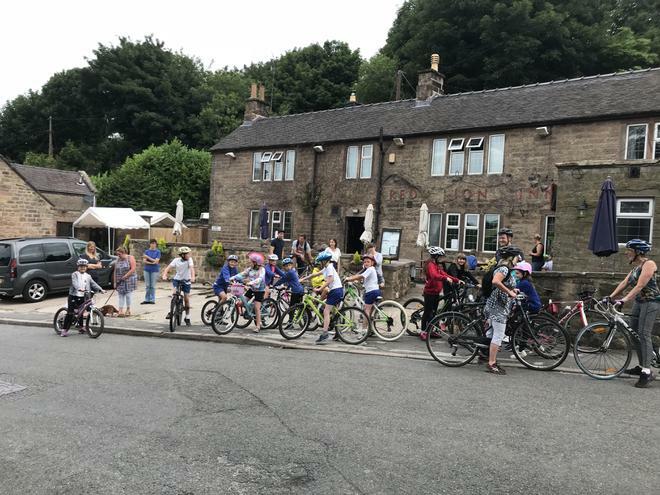 All pupils from Stanton in Peak took part in the races and joined in with the additional activities provided by the Extra Time event organisers. 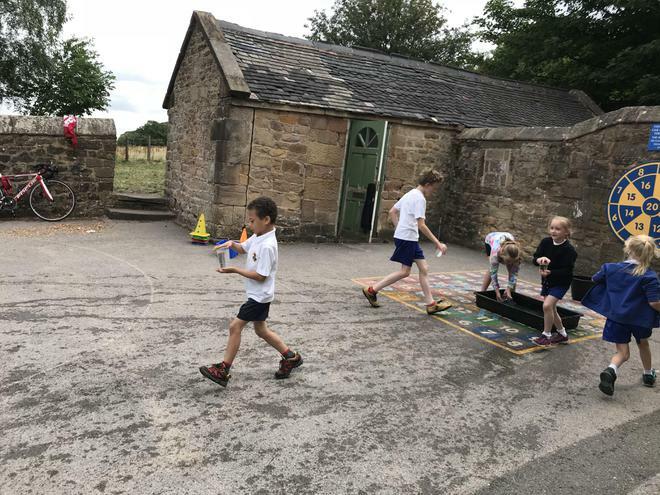 It was pleasing to see the older children caring and looking after some of the younger members of our school and the reception children were particularly impressive as they took part in their first cluster schools competition. 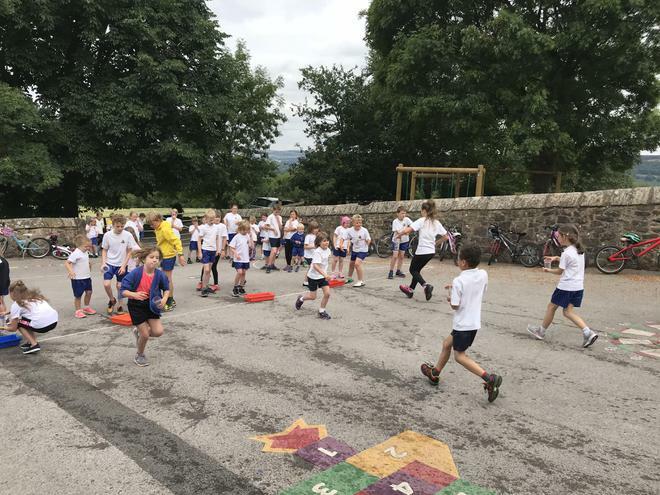 Well done to everyone - we have some great runners! 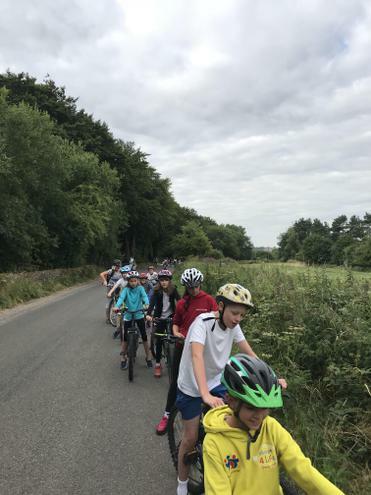 Thank you to Bakewell Juniors for hosting the event. 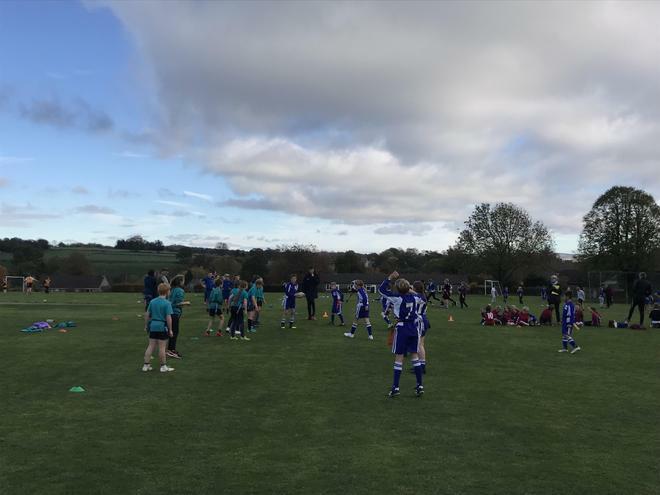 What a fantastic afternoon in Tideswell at the cluster schools football tournament. For the first time in years, we were able to field two teams. Both teams should be very proud of their efforts and attitudes on and off the pitch. Our A team finished RUNNERS UP and won all 4 matches on their route to the final, scoring a whopping 14 goals (and conceding only 1) in the process. Unfortunately, they were beaten by a very good Curbar side in the final. Congratulations to them. Perhaps even more pleasing than the quality of football on display was being presented with the RESPECT AWARD at the end of the tournament. Both our teams were said to have played with great respect for the game, their opposition and the officials. Well done Stanton in Peak! Our School Sports Organising Crew! 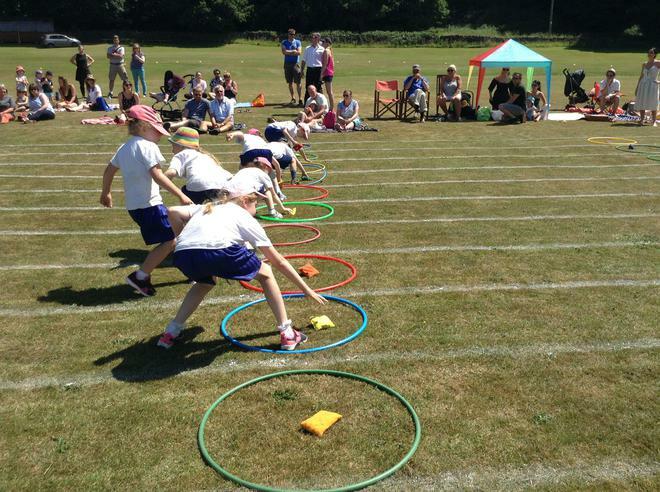 Sports day was a huge success with lots of smiling red faces at the end. 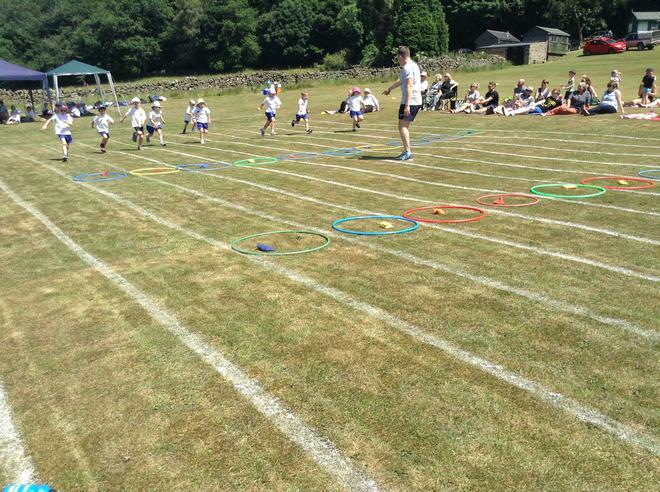 We had a lot of fun races including: the sprint, bean bag throw, javelin, sack race, cross country, egg and spoon, the hoop race and the parents race. Every child came home with a ribbon. Everyone got a purple ribbon for taking part. 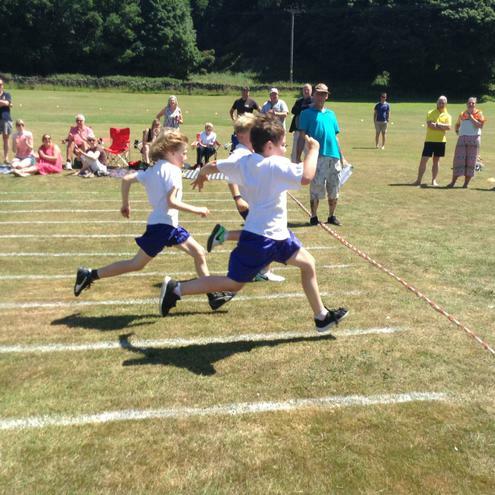 Every parent looked impressed with how their child did and appeared to take the mums and dads race very seriously! We were all very proud of them for having a try! 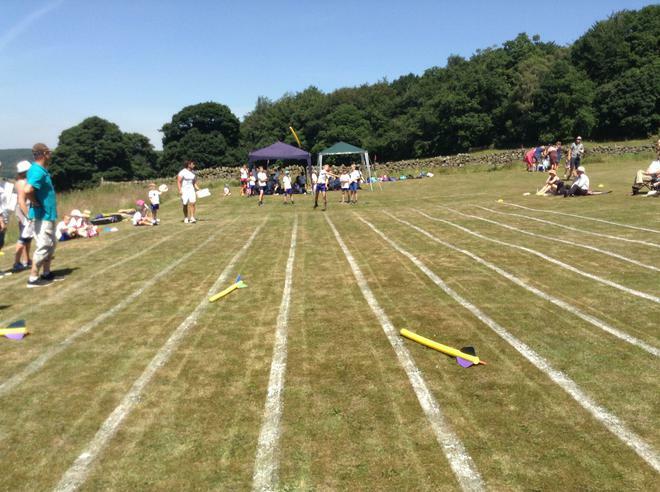 We look forward to seeing you at the year 5 and 6 rounders competition on the 12th of July 2018. 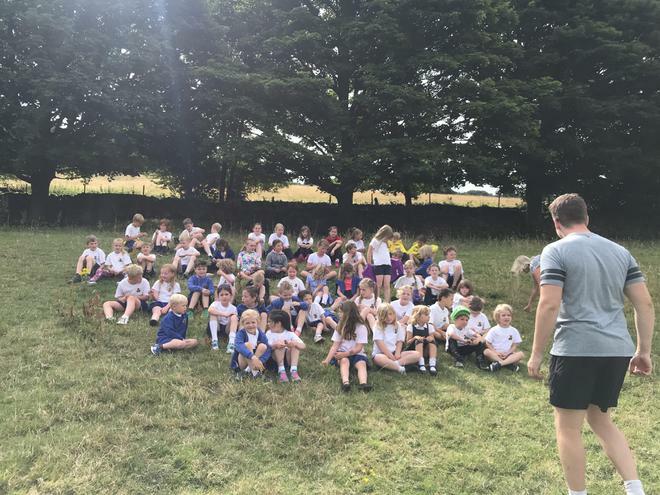 On Thursday 7th June the year 5 and 6 hosted a cricket competition. The year 5 and 6 played Monyash in the semi-final. If they had won they would have played Curbar in the final. It was a very close game with Monyash just coming out on top. A very impressive Curbar were victorious in the final. We were all very proud of our 5s and 6s who showed great sportsmanship all afternoon. Despite not winning any matches, we were still happier than ever and all took part in the festival which ran alongside the event. 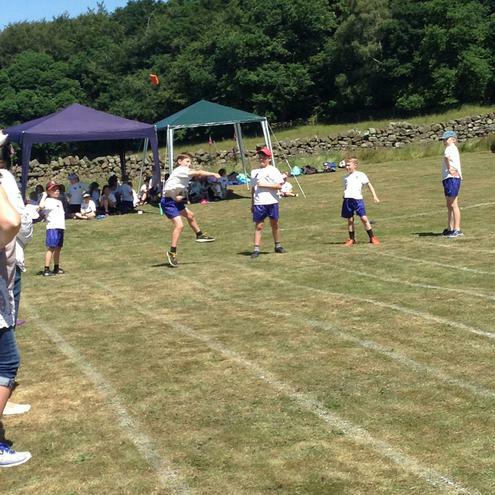 During the festival we learnt lots of cricket skills.